Bruno’s Electra-Ride III Curved Rail model offers a safe and durable design that installs on virtually all curved stairways! 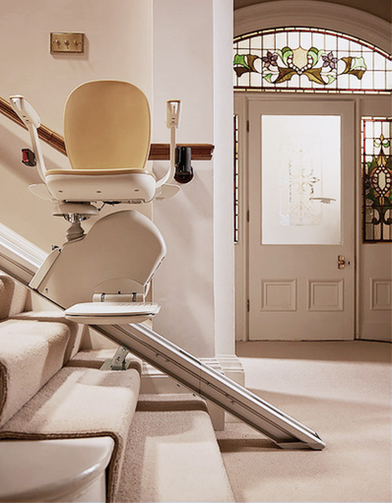 Leading-edge technology assuring complete stability as you move up and down the stairway — even during power outages, and inside turns offer the flexibility of mounting the curved stairlift on either side of the staircase. Curved staircases are an elegant and prominent part of your home, don’t allow them to compromise your independence.